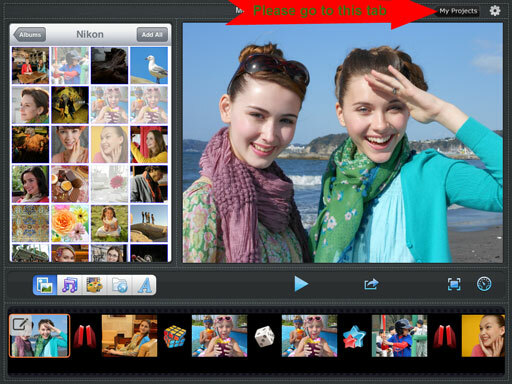 How to create a photo slideshow project on iPad? After running the program, if you see a blank project screen please tap the “New” button at the lower left corner to create a new project. If the project screen doesn’t display, please to to the tab “My Projects” in the upper-right corner above the interface. Then tap the the “New” button in the pop-up screen. Return to the project screen and tap the black edge of the project, use the backspace key to erase the name then tap “Done” on the keyboard. Please return to the project screen. Go to the tab “Delete” at the bottom of the screen. Then follow the next instruction “ Delete Project”.